Big news for those who have not heard… “Laptops’ Revenge” will be premiering at the Phoenix Comicon this Saturday at 11:20am. Come by and check it out and stay awhile for the Q&A with local filmmakers at 12:20pm. I will be there with members of the cast and the producers. Xander Benzer, Scott Kos, Peter Haverson, Jason Lippencott, Nick Benzer, and Shannon Griffith on the set of "Laptops' Revenge"
If you can come a bit earlier our friend Kane Black will be premiering his short “Fashion Assassin” at 11:08am. 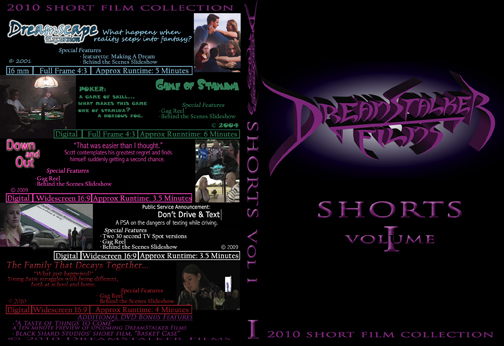 Be sure to drop by Zach Reddy’s Paleocomics and Emma Lysyk’s Em2a Cartoon booth (759) They are both very talented and in addition to selling their own work they will have a small supply of DreamStalker Films Vol. I DVDs. While in the exhibitor area be sure to check out Anti-Hero Brand Press (booth 681). Artist John Chihak and Agnew will be there selling his work. We had the pleasure of sitting in the booth next to this talented guy at last year’s con, so if you see him tell him we sent you. Other than that we are running full force towards finishing Principle Photography on Slayer Wars 3. We should be wrapping in September. In the meantime, watch for completion of the long awaited Amoric video “Who Are You?” Hopefully that will be soon now that we have a final cut of the song. After that I’ll finish up “Fair Seasons” so it can be posted here. The last half of the year will be occupied with shooting our untitled Steam Punk film and hopefully starting a limited webseries version of “Reunion”. Hope to see you all at the Comicon on Saturday! Thank you so much for the plug. Are you guys going to be reissuing Slayer Wars or is that suckah out of print? 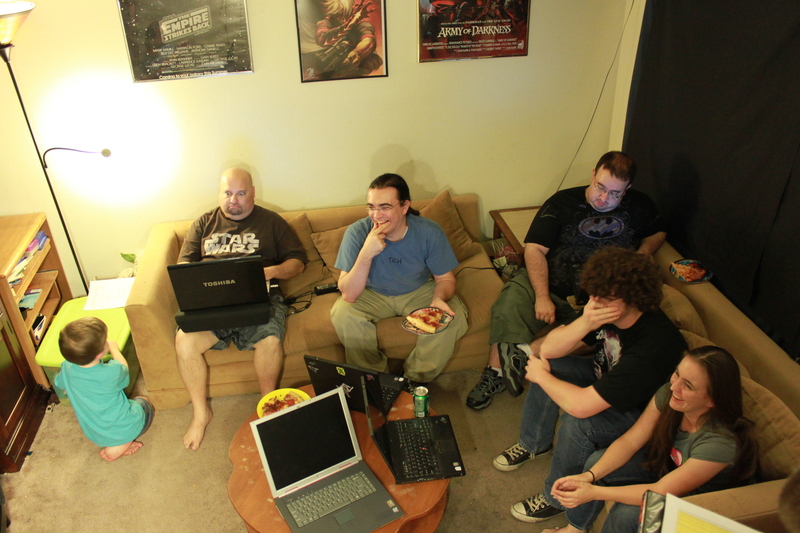 I forgot what we were laughing about in that Laptop’s Revenge pic.